Republican Donald Trump is an outspoken, at times harsh, businessman who is not afraid of sounding politically incorrect. Democrat Bernie Sanders is a self-described democratic socialist, and though he is very progressive, he connects with many voters because he is true to himself. Republican Carly Fiorina is a business woman with firm, seldom changing opinions. Despite not being a politician, her unshakable views and intelligence have won her support. Republican Ben Carson is a retired neurosurgeon turned presidential candidate with fact based, conservative views. Then there is Hillary Clinton, who has been criticized for lacking a persona. Clinton, former Secretary of State, First Lady and New York senator, is the frontrunner for the Democratic Party nomination. Leading challenger Sanders, Clinton has jumped in the polls as of late. In late-September, Clinton led Sanders by 7 percentage points. One reason for Clinton’s boost in polls could be her new found authenticity; voters previously did not know who Clinton was, as she seemed to change who she was daily. Previously, Clinton seemed to be making promises to try and please all groups, too. Then Clinton’s advisors said in late September in interviews by telephone that they would like to see her be more genuine. In and of itself this comment about being more genuine raised serious concerns. Who had been speaking on that stage all these months since Clinton declared she would run in April? If those were not Clinton’s true views and self, what were they? If Clinton was not being genuine in the first place, where would this new authenticity come from? 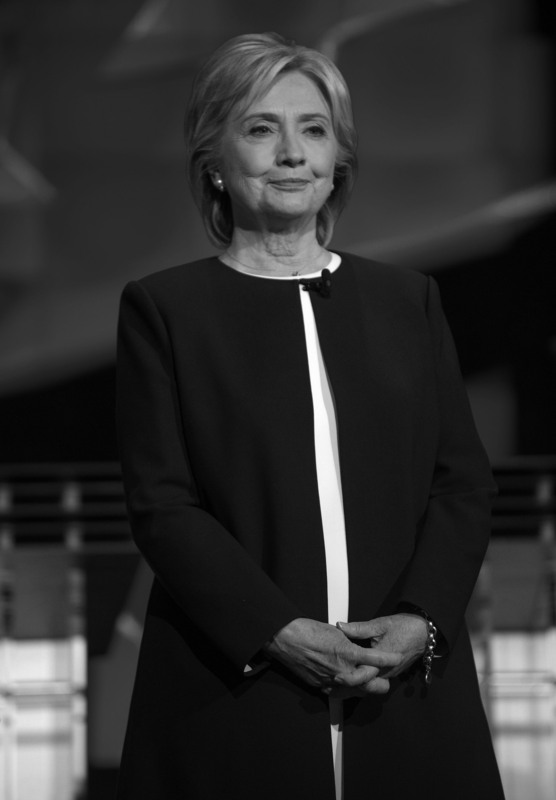 The simple act of trying to be authentic is more than a little unauthentic, and after her aides made such comments, it would be hard for Clinton to regain the authenticity she may have had. The sketch, while poking fun at those who see Clinton as just a politician, also showed Clinton’s personality and true self. Together, Clinton and McKinnon sang, “Lean on Me” by Bill Withers, and talked about the stresses of being Hillary Rodham Clinton. Overall, Clinton came across as very personable and relatable. The presidential election has had surprising winners and losers. September saw one of the early frontrunners for the Republican nomination, Wisconsin Governor Scott Walker, drop out of the race after polling below 0.5 percent following two lackluster debates. It also saw non politicians surge in the polls to the top of the Republican Party. Success all has to do with authenticity. At this early stage in the election voters are gravitating towards the candidates with the passion, the heart, the gumption and the energy to lead. Trump currently leads the Republican Party with 24.3 percent of the vote, closely followed by Carson at 23.3 percent. Clinton leads Sanders by 21 percent with 54.5 percent of support, after gaining a large boost in recent weeks. Walker, though in a much larger field of competition, succumbed to a problem that has plagued Clinton. He did not speak up or do anything to establish himself as a candidate and fell out of favorability. Clinton, too, at times has had issues with voicing her true opinions and distinguishing herself. She leads the race for the Democratic presidential nomination so far, but the Democratic field has significantly fewer players. To succeed in the election, Clinton, and any other politician who wants to succeed, must continue to step up and give the people what they really want: a real person with original ideas and beliefs, not someone who tells the people what they want to hear.